Southern Medical Association Alliance (SMAA) is a vibrant team of leaders working in their communities to improve health care and health literacy. 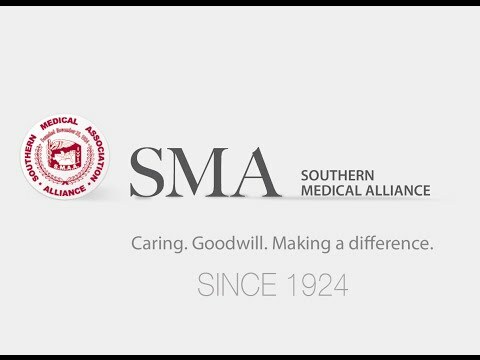 The SMA Alliance was started in 1924 as a volunteer organization of physician spouses in 16 Southern states and D.C. and has grown to include members both in the US and internationally. SMA Alliance members strive to enhance and improve knowledge on health related issues, encourage students to become future physicians, preserve medical history and achievements, and raise funds for student/resident scholarships and grants. The SMA Alliance provides networking and support uniquely tailored to physicians and physician spouses. The SMA Alliance provides networking and support uniquely tailored to physicians and their spouses, educates communities on health-related issues, and encourages the professional recognition of physicians. The purpose of the Society of 1924 is to provide scholarship opportunities for third year medical students in partnership with the Southern Medical Association Research and Education Endowment Fund. Founded in 1924 to promote and preserve the art and science of medicine, the SMA Alliance focuses year-round on health education, preservation of medical history, and observance of National Doctors' Day through community service activities. The Alliance continues to organize efforts to educate our communities on important health initiatives and develop meaningful programs for the spouses of SMA members and the Family of Medicine. Don't forget to honor physicians, on March 30 for National Doctors' Day. Quarterly newsletter of the SMA Alliance.